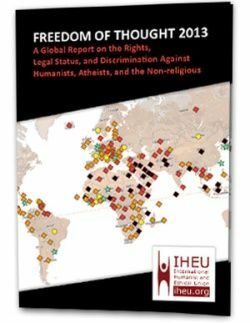 The “Freedom of Thought” report by the International Humanist and Ethical Union, IHEU, found widespread discrimination by governments in every region. 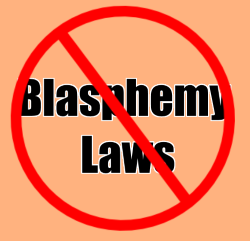 Issues from children forced to pray in school classrooms, to the most “Grave Violations”.such as death for breaking “blasphemy” laws, are considered in the report’s comprehensive rating system. 12 countries in Africa, 9 in Asia, and 10 in the Middle East, were given the worst rating for committing “Grave Violations”. Some of these governments were found to openly incite hatred against atheists, or authorities which systematically fail to prosecute violent crimes against atheists. 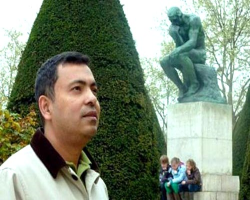 In line with their words, several possibly unexpected nations come out rather badly on the scale of five classifications — which range upward in severity from “Free and Equal”, through “Mostly Satisfactory”, “Systemic Discrimination”, “Severe Discrimination”, to “Grave Violations”. Four western countries are rated “Severe” because they can jail people for breaking laws prohibiting ‘blasphemy’ and other free speech on religion. Those countries are Iceland (a sentence of jail for up to 3 months), Denmark (up to 4 months), New Zealand (up to a year), Poland (up to two years), Germany (up to three years) and Greece (up to three years). Jail time could be handed to someone who simply “blasphemes God” in the case of Greece, or “insults the content of other’s religious faith” in the case of Germany. I took a look at what they had for the United States and we were listed as “Mostly Satisfactory”. While we have the 1st amendment and other protections of religious beliefs, the report mentioned the “symbolic deference to religion” (aka Christian privilege) we get to enjoy here. Yet while the rights of all Americans to freedom of religion and speech are protected, the U.S. has long been home to a social and political atmosphere in which atheists and the non-religious are made to feel like lesser Americans or non-Americans. This is due to a range of laws that limit the role of atheists in regards to public duties, or else entangle the government with religion to the degree that being religious is equated with being an American, and vice versa. Court rulings and later legislative actions have made many of these laws void. However, they continue to exist due to a lack of political power to repeal them. This serves to feed the social idea that to be American is to be religious, which in turn creates an atmosphere in which elected officials feel the need to play into that idea. In other words: in America, you might have the right to be an atheist, but being public about it can have debilitating consequences for your chances of success in life, especially in certain states. For example, there are several Congress members who refuse to list their religious affiliation, but exactly zero of the 535 members of Congress claim to be non-religious. What makes this a great report is the focus on nontheists. 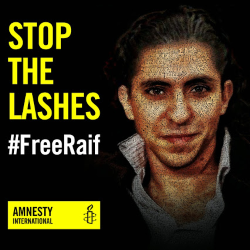 That is in contrast with the ‘International Religious Freedom Report‘ issued by the US State Department that not only ignores the treatment of nontheists but also ignores the United States. The IEHU report also gives many example cases.